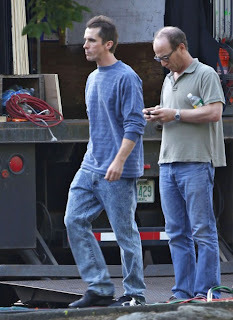 The Beantown Bloggery: 1000 Words - Christian Bale in "The Fighter"
Just so you know, Christian Bale is supposed to look gaunt and skinny. He's playing boxer turned drug addict Dickie Eklund in the movie "The Fighter" with Mark Wahlberg so he had to lose a bunch of weight. 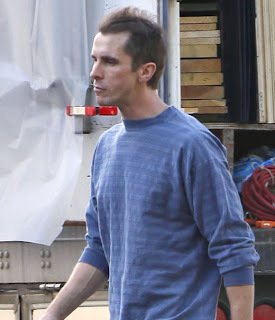 Oh also, I was at the Whole Foods in Charles River Park yesterday and the cashier told me that Christian Bale had stopped in. You think it's just a coincidence? Or is he staying at the Liberty Hotel? Click (here) for more pics of Bale. 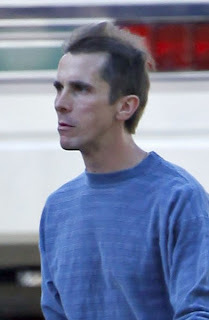 1 Response to "1000 Words - Christian Bale in "The Fighter""
My friend which works for a hotel in the Boston area, said that Christian Bale is staying at the Intercontinental.